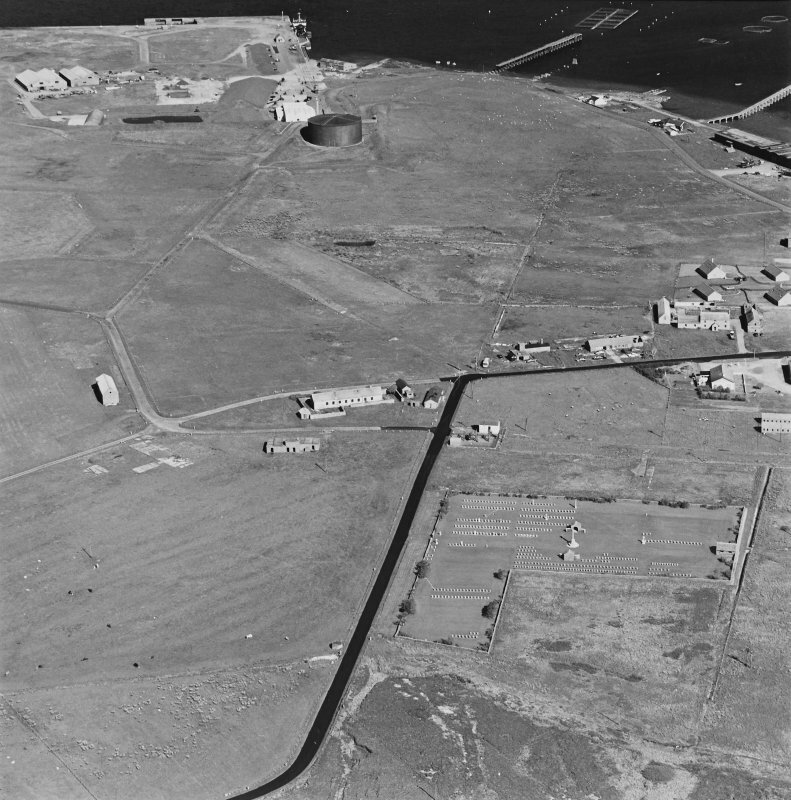 Oblique aerial view of Orkney, Hoy, Lyness, Royal Naval Oil Terminal, view from NW of the hut bases of a military camp to the NW of the Naval Base. In the background the officers' quarters and the Naval Cemetery. 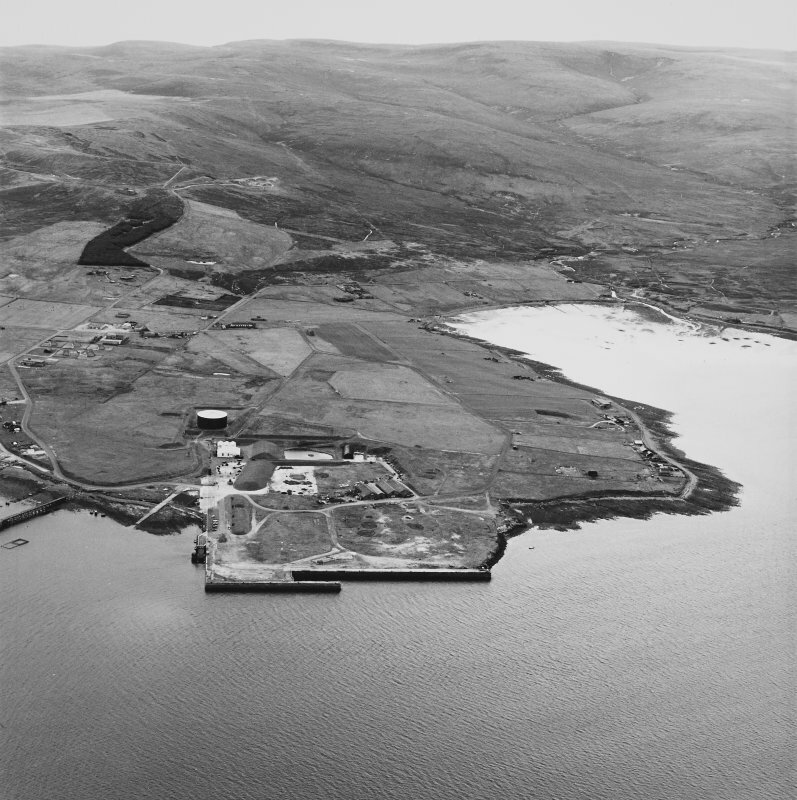 Oblique aerial view of Orkney, Hoy, Lyness, Royal Naval Oil terminal, view from S, of the Pumphouse for the underground oil tanks. Part of the Naval Cemetery is visible in the background. 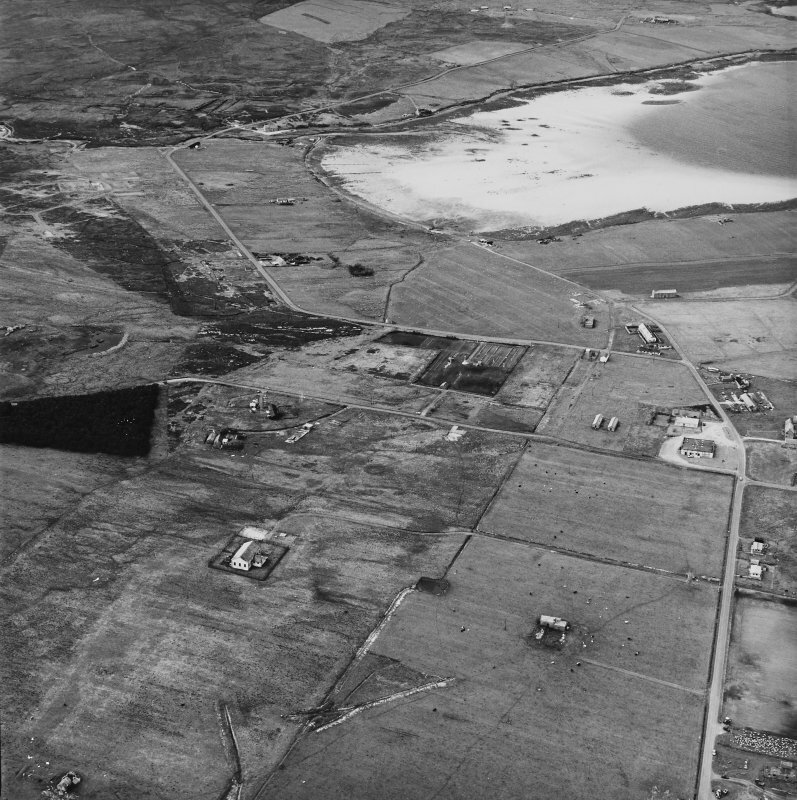 Hoy, Lyness, oblique aerial view, taken from the NE, centred on the Royal Navy Oil Terminal. Visible in the centre right of the photograph is Wee Fea Naval Signal Station. 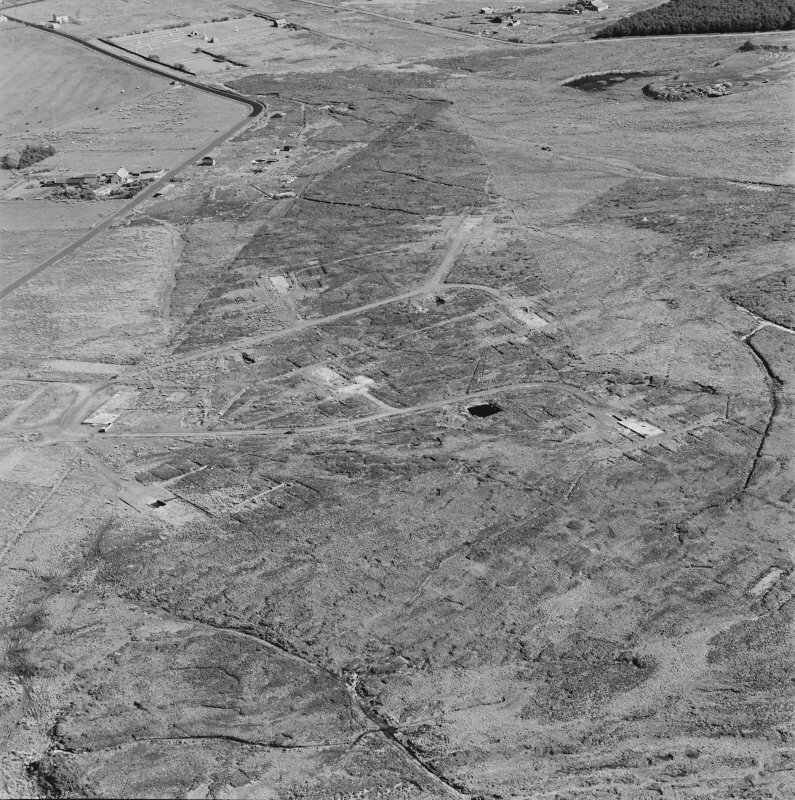 Hoy, Lyness, oblique aerial view, taken from the SSW, centred on the Royal Navy Oil Terminal, and showing the Naval Cemetery in the centre left of the photograph. 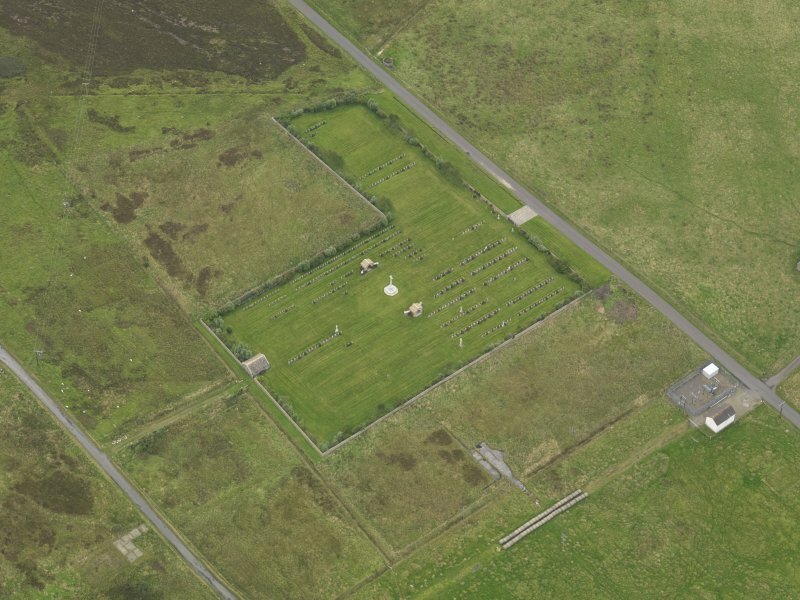 Oblique aerial view centred on the Naval Cemetery, taken from the NE. 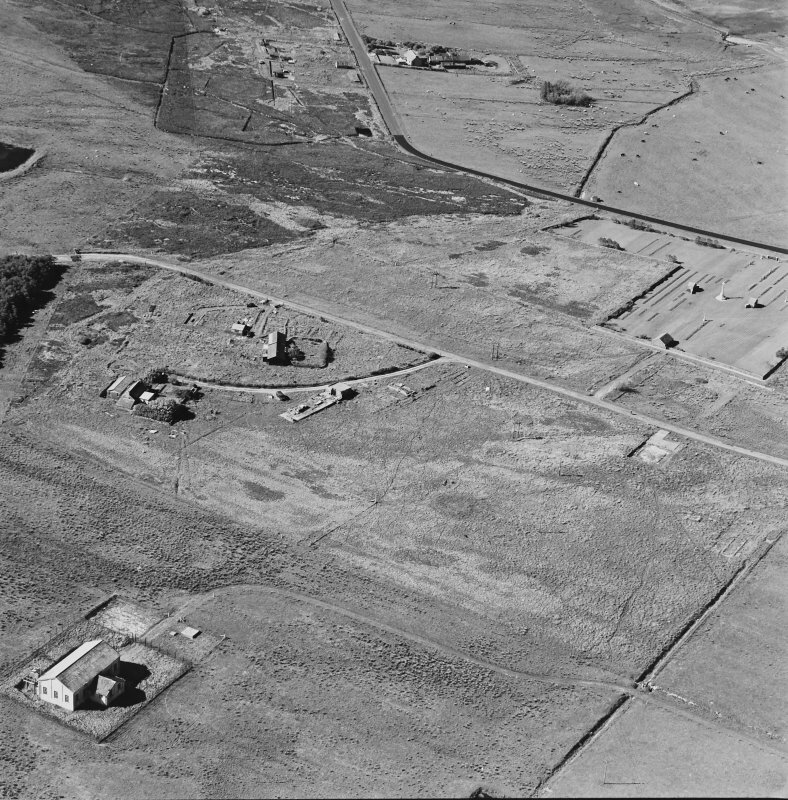 Oblique aerial view of Orkney, Hoy, Lyness, Royal Naval Oil terminal, view from NW, of part of the Naval Cemetery and a pillbox. 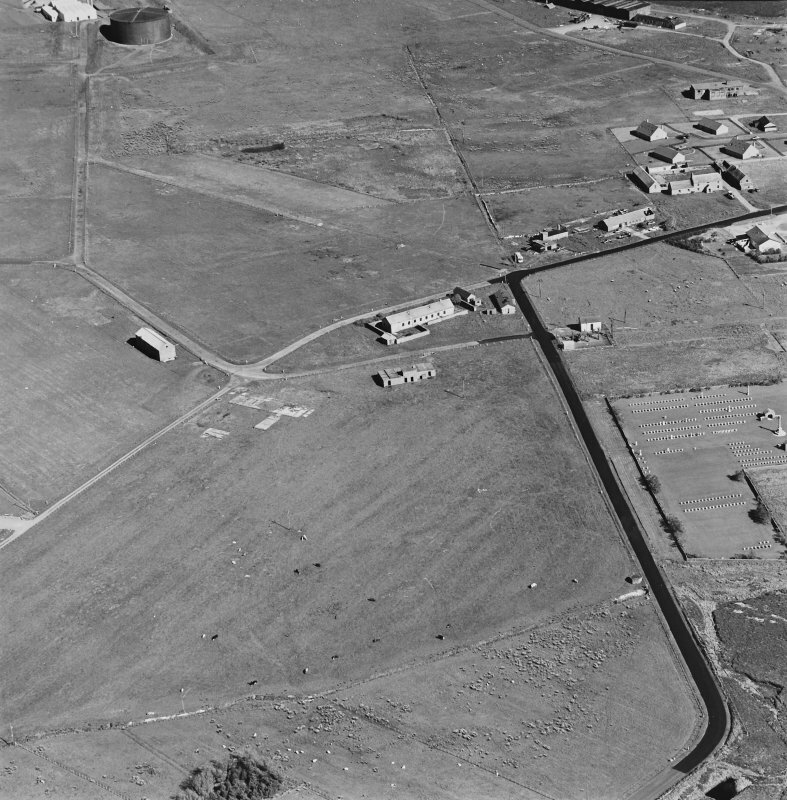 Also visible are are some of the ancillary buildings in the N part of the Naval Base. 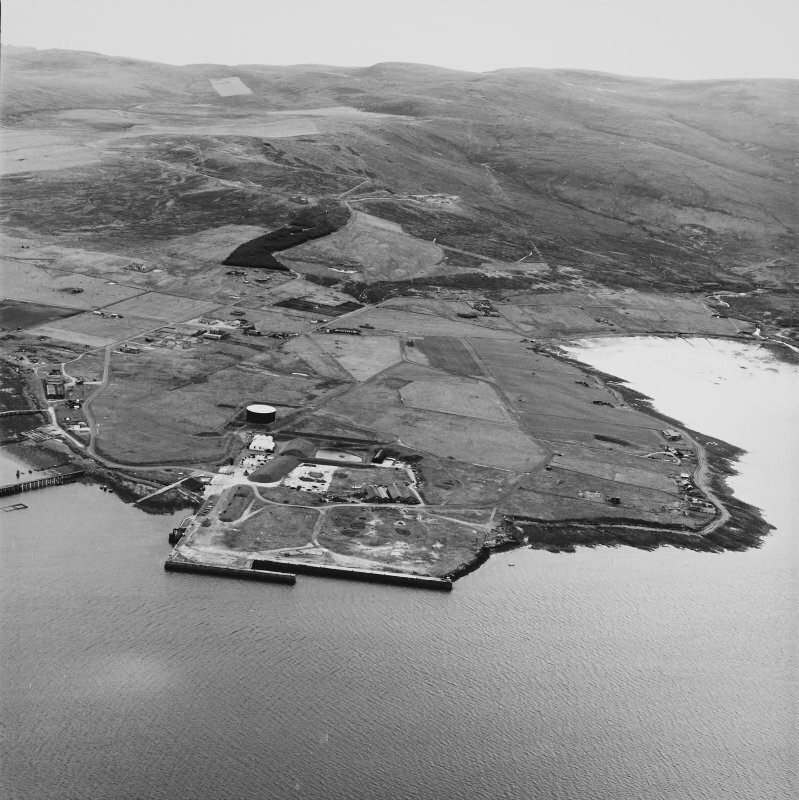 Hoy, Lyness, oblique aerial view, taken from the E, centred on the Royal Navy Oil Terminal. Visible in the top left hand corner of the photograph is Wee Fea Naval Signal Station. 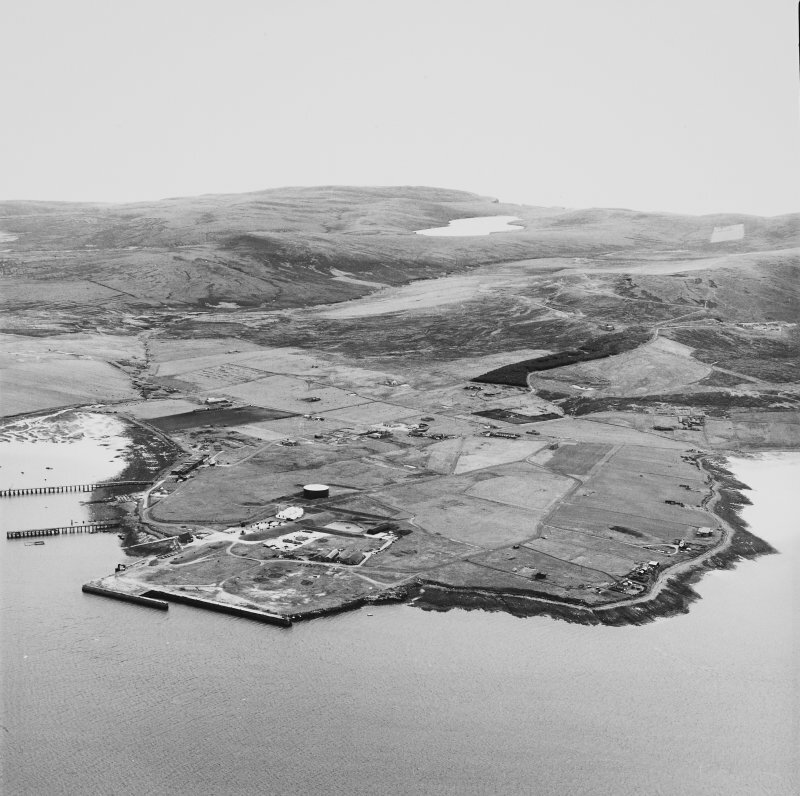 Hoy, Lyness, oblique aerial view, taken from the ENE, centred on the Royal Navy Oil Terminal. Visible in the top half of the photograph is Wee Fea Naval Signal Station. Hoy, Lyness, oblique aerial view, taken from the ESE, centred on the Royal Navy Oil Terminal. 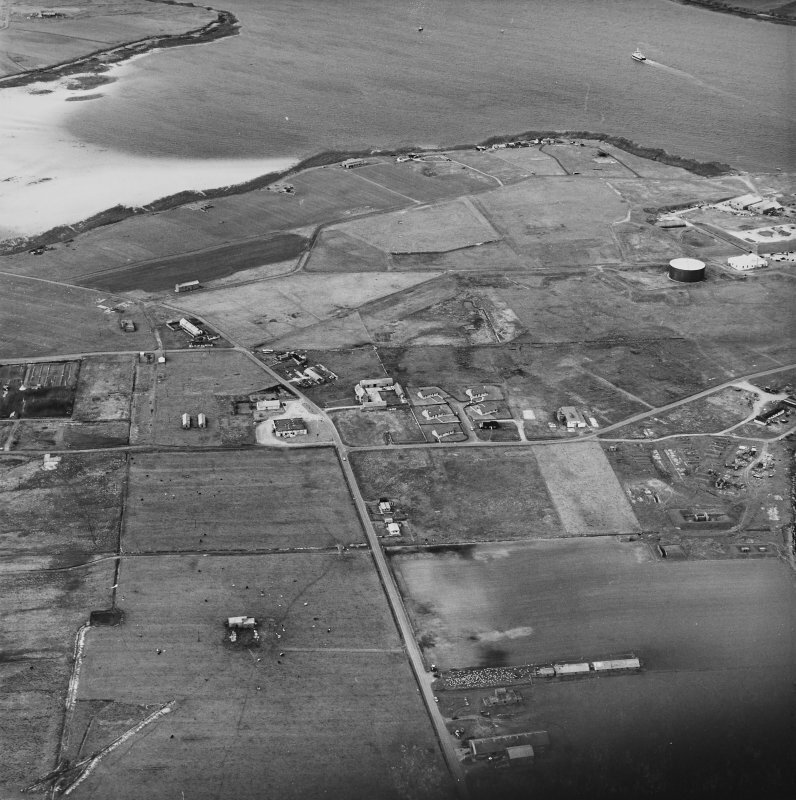 Visible in the centre left of the photograph is the Naval Cemetery. 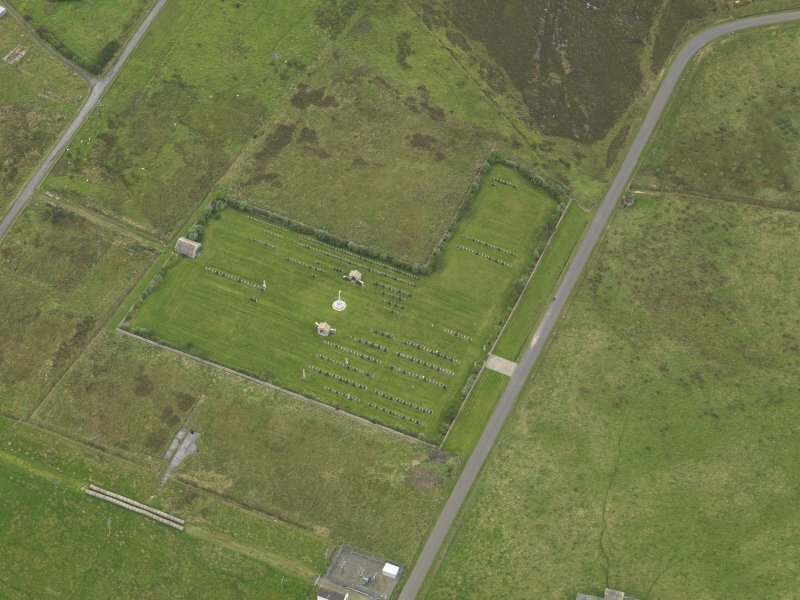 Oblique aerial view of Orkney, Hoy, Lyness, Royal Naval Oil Terminal, view of the Naval Cemetery and a pillbox. Also visible are are some of the ancillary buildings and the remaining oil tank, museum complex in the N part of the Naval Base. 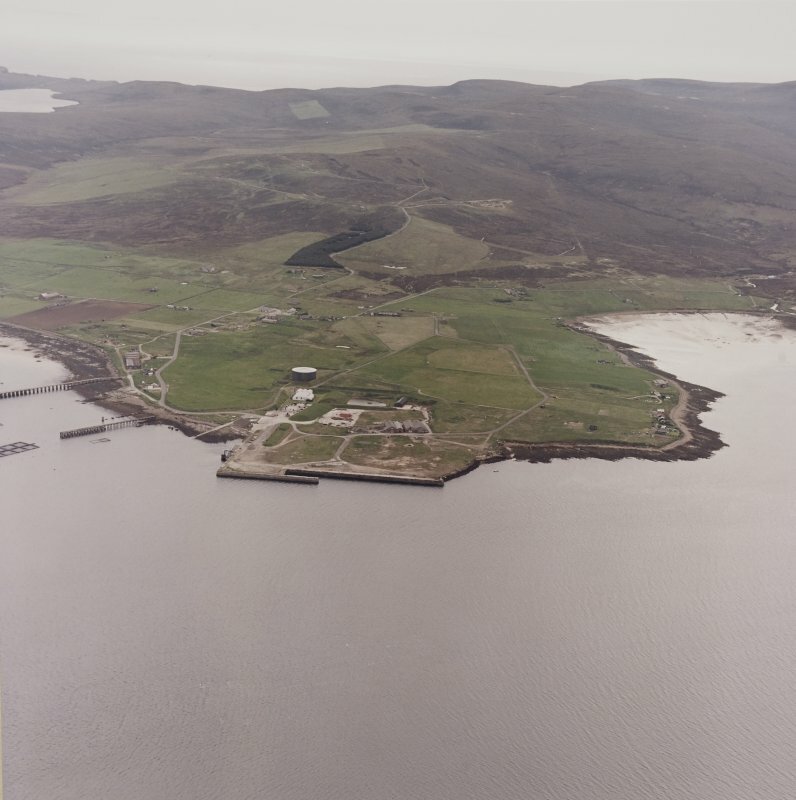 Hoy, Lyness, oblique aerial view, taken from the S, centred on the Naval Cemetery and a pumping station, and showing the edge of the Royal Naval Oil Terminal in the right half of the photograph. Oblique aerial view of Orkney, Hoy, Lyness, Royal Naval Oil terminal, view from SSW, of the Pumphouse for the underground oil tanks. The Naval Cemetery is visible in the background. 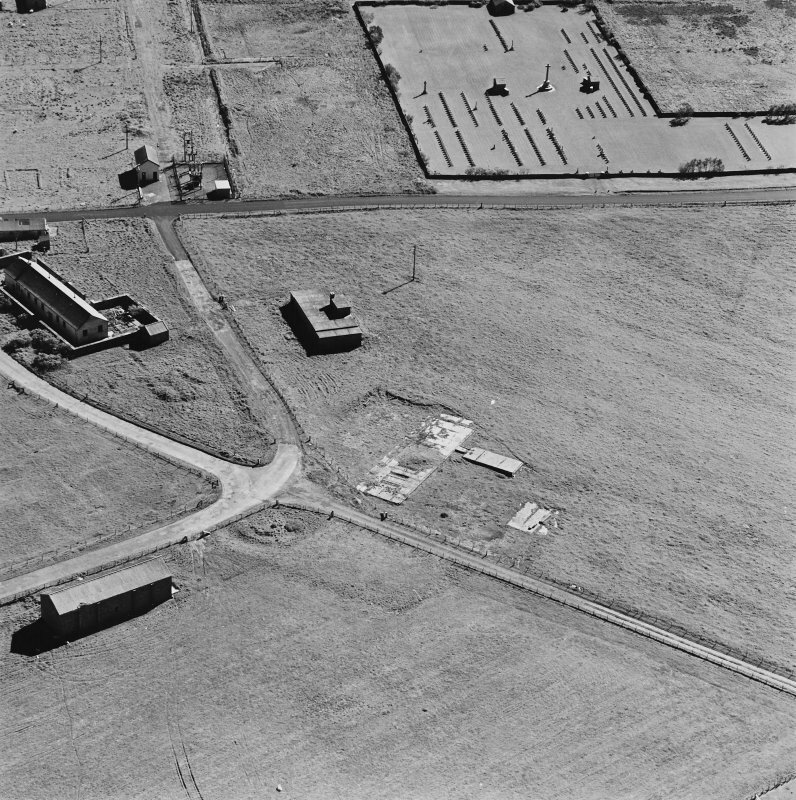 Oblique aerial view of Orkney, Hoy, Lyness, Royal Naval Oil Terminal, view from N, of buildings and a large concrete hut base with part of the Naval Cemetery. 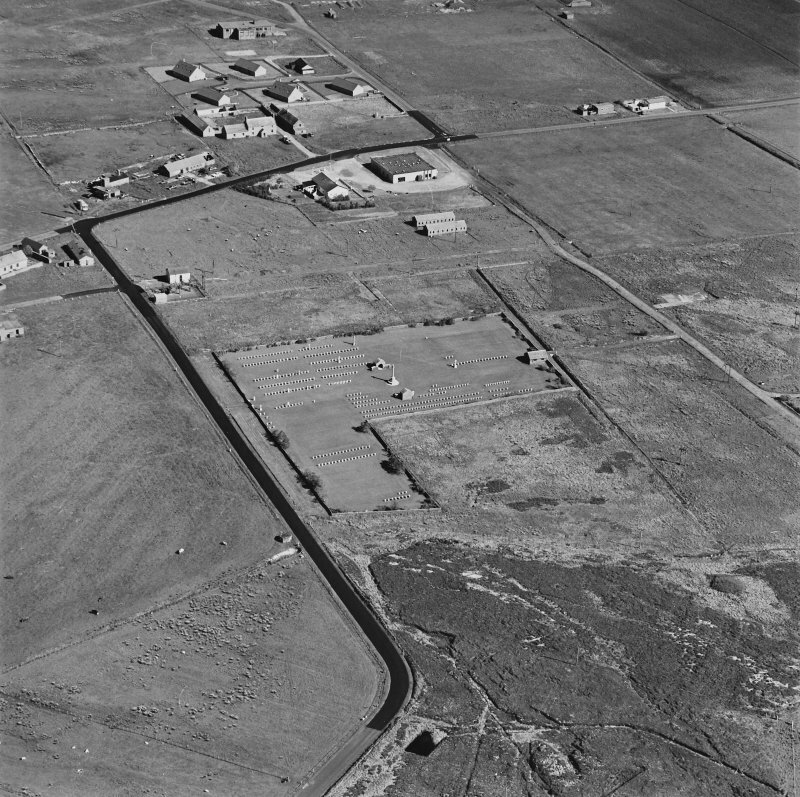 Oblique aerial view centred on the Naval Cemetery, taken from the SE. 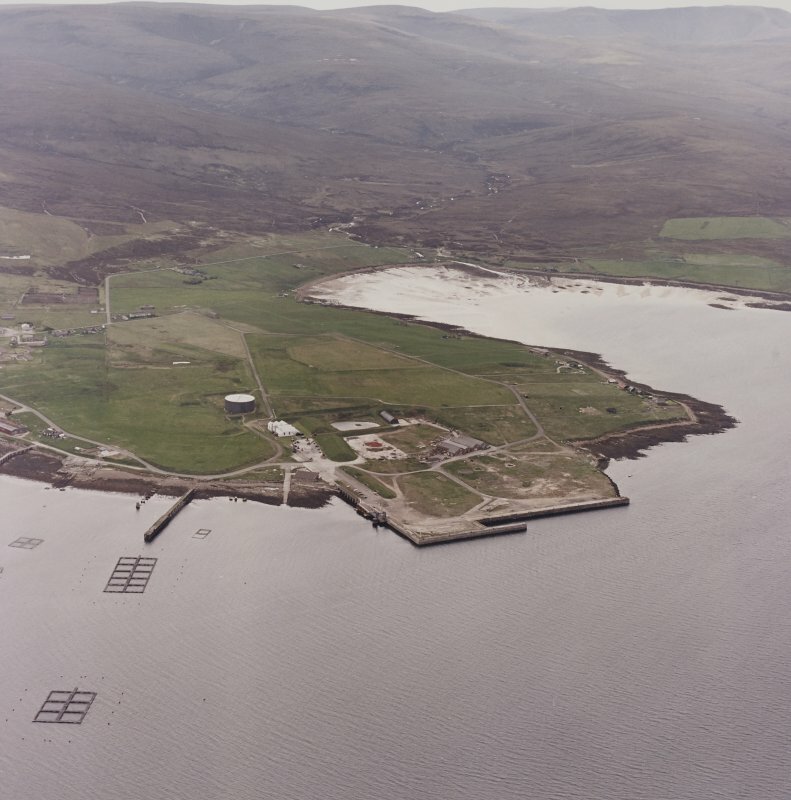 Oblique aerial view of Orkney, Hoy, Lyness, Royal Naval Oil terminal, view from NW, centred on Naval Cemetery and pillbox. 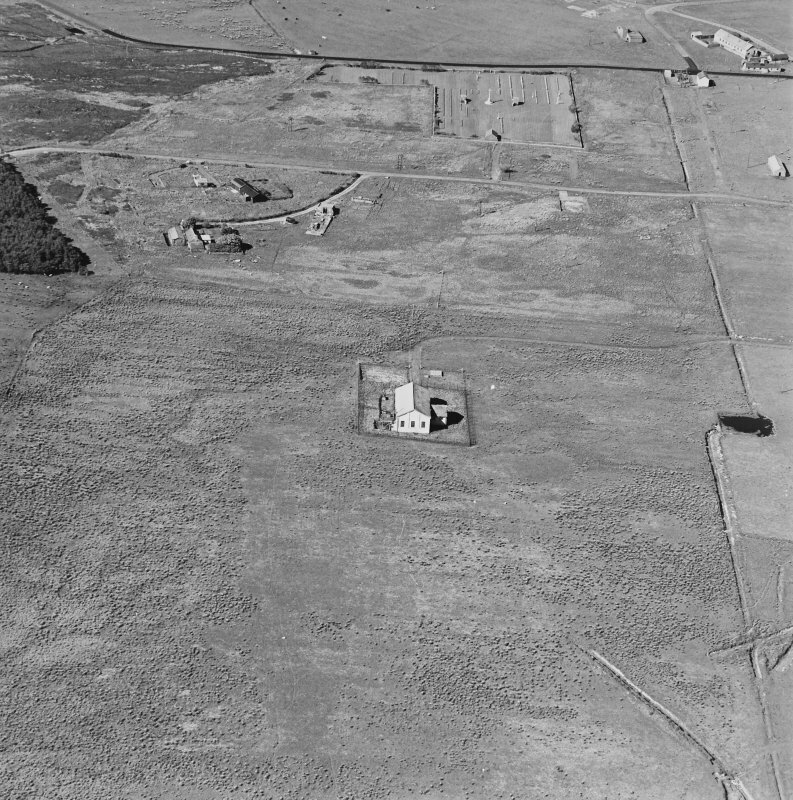 Location formerly cited as ND 301 946. This cemetery houses the remains of officers and men from the wreck of HMS Vanguard (ND39NE 8045). There is a memorial. Information from RCAHMS (RJCM), 14 November 2002. 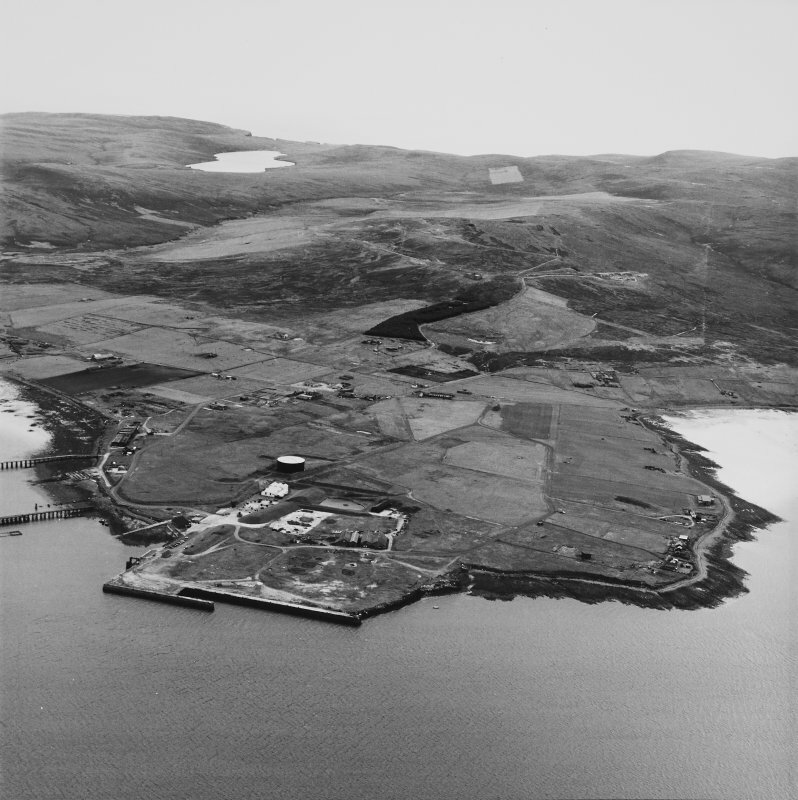 Lyness was the major naval base for Scapa Flow during both World Wars, and it was used by the Royal Navy until 1956. The original oil-pumping station has been renovated and used as an interpretation centre for the story of wartime Scapa Flow. The station was built in 1917 to house the steam-driven pumps that brought oil from tankers moored at the the piers into storage tanks. One of the four tanks survives, designed to hold 12,000tons of oil. The gleaming pumps were originally powered by coal, but they were converted to oil in 1936, when another twelve storage tanks were built. The displays include artefacts recovered from HMS Hampshire and from ships of the scuttled German fleet. By 1940 there were more than twelve thousand military and civilian personnel at Lyness, and one of the great red sheds built around 1918 was converted into the largest cinema in Europe. Even more striking is the cinema built around 1942 south of Lyness (NO 307922). A huge Nissen hut was transformed by a facade built in art deco style, with its brickwork painted black and bands of white linking the windows (see p.35). The Nissen hut has been demolished and the facade is now a guesthouse. On the hillside above Lyness are the naval cemetery and a good example of a pillbox, a small defensive look-out post so-called from its squat circular shape. 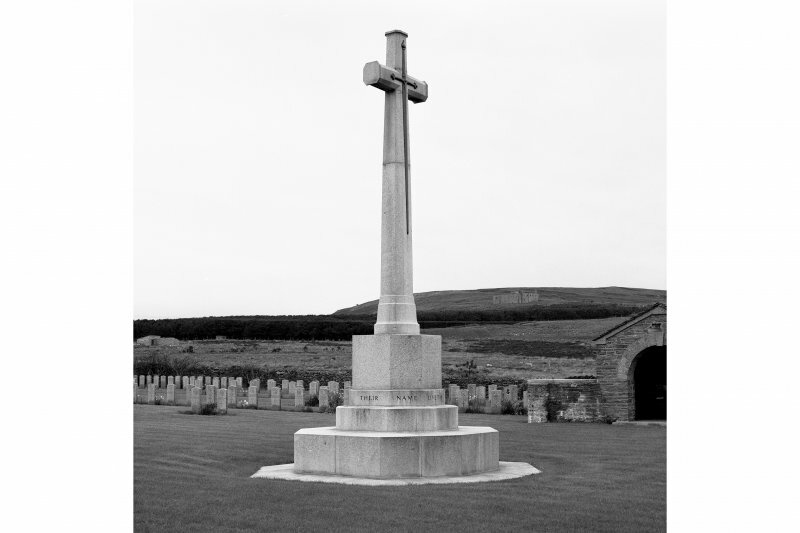 A project undertaken during 2014 and early 2015 to catalogue and describe all of Orkney's war memorials. Commonwealth War Graves Commission Cemetery, which includes a number of naval war memorials. 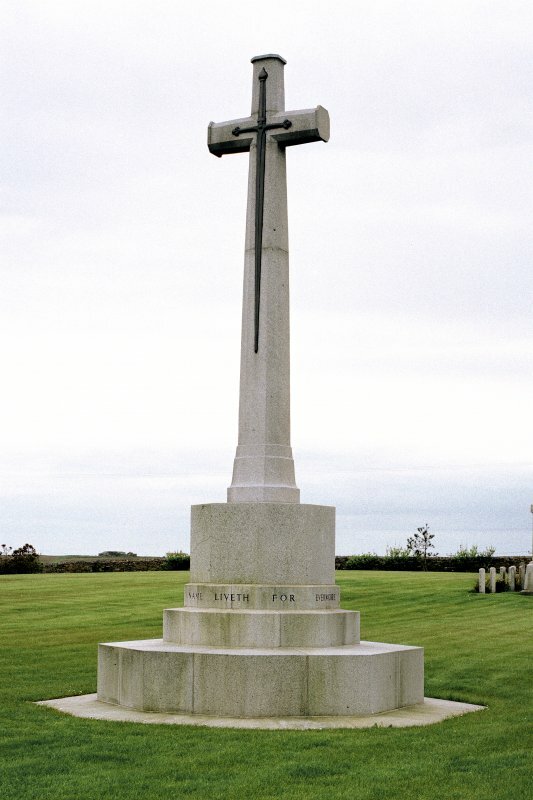 Cross of Sacrifice: Type B Cross of Sacrifice, designed by Sir Reginald Blomfield. Roman Catholic Memorial: Grey granite Celtic cross with knot motif in relief. Lead lettering affixed to base and painted black (except on lowest level). 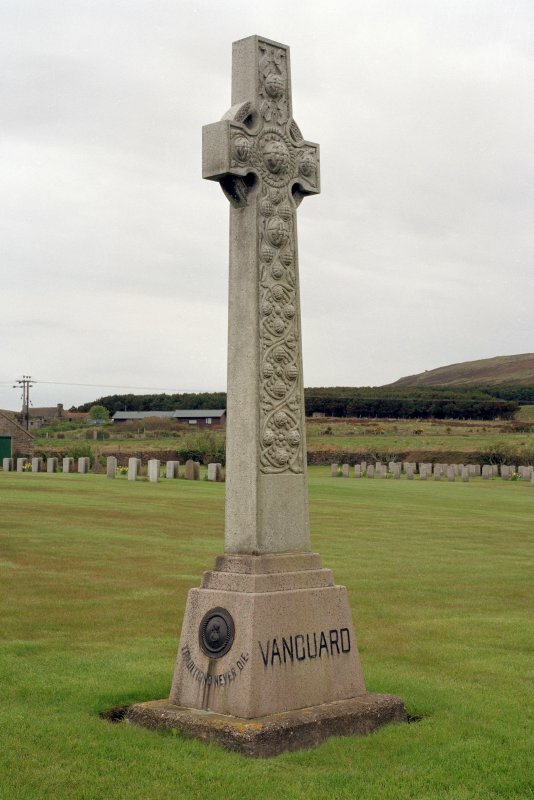 Vanguard Memorial: Grey granite Celtic cross with vine and ball motif carved in relief. Pink granite base with inset bronze lettering and sculpture. 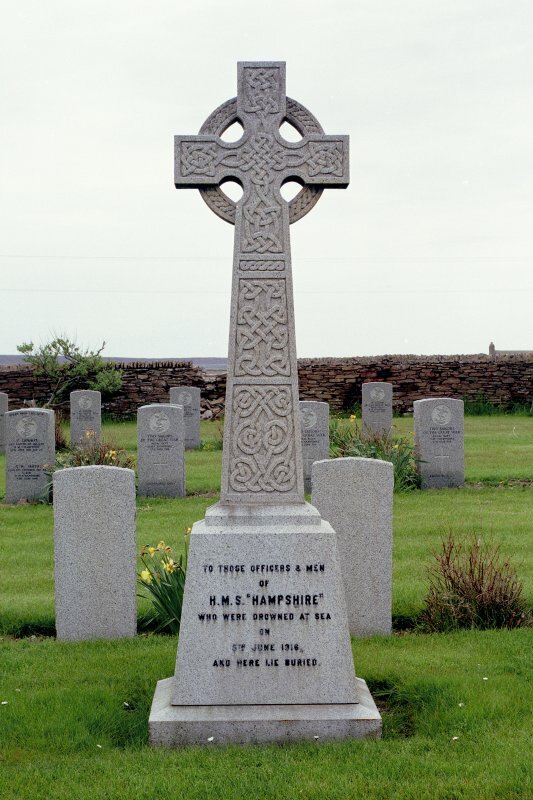 HMS Hampshire Memorial: Grey granite Celtic cross with knot pattern carved in relief. Lead lettering painted black and affixed to base. HMS Barham Memorial: Sandstone headstone with engraved lettering and semi-circular ivy pattern carved in relief. HMS Malaya Memorial: Small grey granite Celtic cross, with lettering engraved and painted black. Floral design carved in relief.